Sputnik: During the 10 January discussion at the Center for the National Interest (CNI) Graham T. Allison, Dimitri K. Simes, and Michael Lind raised the issue of a China-Russian entente, describing it as "America's nightmare". According to the speakers, although Russian analysts see Moscow-Beijing relations as "an alliance in all but name", an official alliance between the two powers is "improbable". What's your take on this? Glenn Diesen: Russia and China can aptly be defined as strategic allies due to their commitment to harmonise key interests and increasingly rely on each other to pursue their shared vision of the world. Their geo-economic objective is to rewire global value chains around an integrated Eurasia and thereby reducing reliance on a US-centric system. This entails developing autonomous technological ecosystems and new transportation corridors outside US control that are funded by new investment banks and denominated in local currencies. These measures are consistent with Russia's need to reduce reliance on Western markets, technology, finance, trade regimes, and currencies. An official Sino-Russian alliance would not necessarily work in their advantage, as the objective is to integrate the entire Eurasian landmass. Their power is derived from being engaged in several regions but not permanently tied to any of them. Economic connectivity with multiple regions creates pressure to accommodate Russia as estrangement would push Moscow towards rival centres of power. 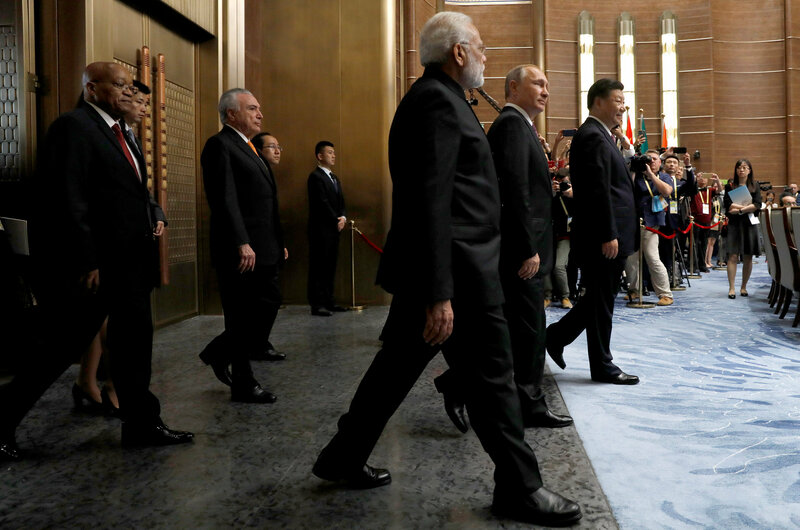 For example, an official alliance with China would alienate states like India and Japan, while an unofficial alliance incentivises Tokyo and New Delhi to reach out to Moscow to ensure Russia does not align itself too closely with China. Similarly, an official alliance with Russia might alienate China in Europe due to the hostility towards Russia. Sputnik: It appears that the Obama and Trump administrations have taken all possible measures to facilitate a China-Russia rapprochement with their Cold War-style hostility towards Russia and the Asian pivot strategy. What's behind these controversial policies, especially given Trump's 2018 Asia Reassurance Initiative Act? Has the US either ignored or downplayed increasing China-Russian cooperation? Glenn Diesen: The failure to reach a post-Cold War settlement that accommodates Russia in Europe predates both Obama and Trump. The US, like Britain before it, has historically defined its security strategies by preventing any state or coalition of states from dominating the Eurasian landmass. Britain and the US, as maritime powers, have therefore historically acted as offshore-balancers who only intervene in Eurasia when the balance of power breaks down. After the Second World War, the US considered it necessary to enter Europe and contain the Soviet Union to restore a balance of power in Europe. Washington's ability to drive a deeper wedge between the Soviet Union and China in the 1970s was another victory in terms of ensuring that Eurasian powers balance each other. America's ambitions of global hegemony after the Cold War led to a radical departure from its traditional offshore strategy. Sustaining unipolarity depends on marginalising rising Eurasian powers, which incentivises them to collectively balance the US rather than each other. A strategic partnership between Russia and China is defined as ‘Kissinger's worst nightmare', and the US has encouraged this development by confronting both major Eurasian powers. 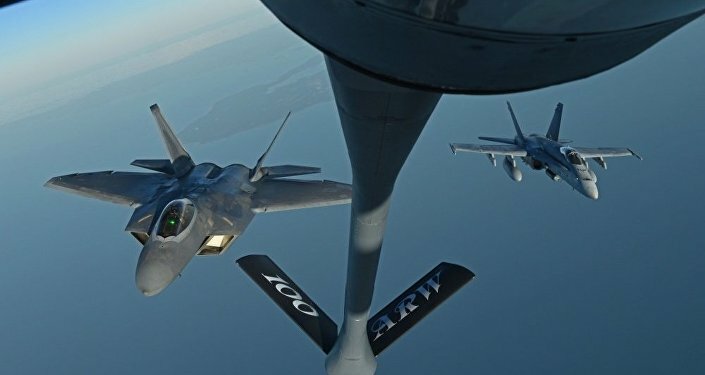 The historical mistake is, however, even greater, as the simultaneous US front against Iran has made Tehran express desire for a trilateral strategic partnership with Moscow and Beijing. Kissinger undoubtedly advised Trump in their conversations to bring Russia closer to the West as China is the main challenger. The political establishment in Washington is aware its policies are pushing Russia and China together, yet there are strong ideology and hegemonic incentives behind the bipartisan consensus to create a Europe without Russia. Trump's mere suggestion that getting along with Russia would be a ‘good thing' is seen as treasonous and evidence of being a Kremlin agent. Sputnik: Speaking at the CNI forum, Cui Tiankai, China's Ambassador to the United States, remarked that "it would be nice to see Donald Trump's smiling face alongside those of the Chinese and Russian leaders". 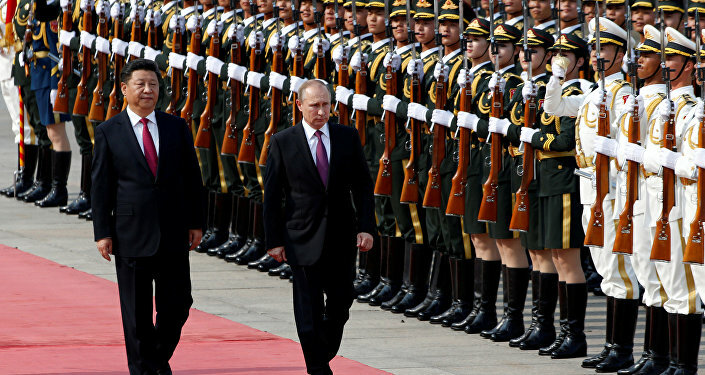 Is a broader trilateral partnership between Russia, China, and the US possible? Or is Washington increasingly losing ground in Eurasia, thus making way for the continent's major players? Glenn Diesen: The world is entering an era of extreme instability as unipolarity has come to an end, yet a multipolar world order has not established itself. It is reasonable for the US to have reservations about the intentions of Russia and China, although refusing to accommodate the new international distribution of power will only create chaos. China's Ambassador to the US expressed the desire to see such a multipolar order coming into existence through negotiations and diplomacy. The US has an incentive to shape the emergence of a multipolar world instead of opposing it and thereby encouraging a multipolar system defined by opposition to the US. Yet, it is very unlikely to see such a trilateral partnership. Extensive restructuring of the international system usually only takes place after major wars. China will continue to challenge US-led global value chains with rival high-tech industries, transportation corridors, trade regimes and financial instruments. The US will defend its position and seek to diminish Chinese power before it becomes too strong. Sino-American relations will therefore continue to be defined by geo-economic rivalry that may escalate into war. The Sino-Russian partnership will continue to be motivated by developing a Greater Eurasia that accommodates the geo-economic interests of both sides. 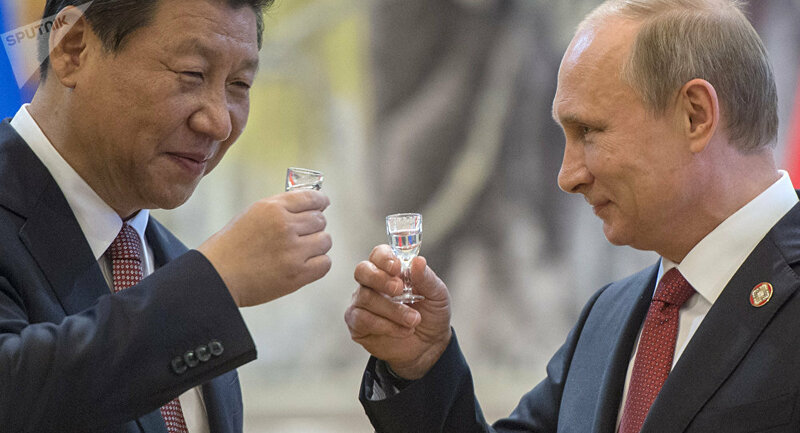 The partnership between Russia and China was initially dismissed in the West as a ‘marriage of convenience' because in the past, Russia would flirt with China simply to heighten its own market value in the West. Relations with China were therefore commonly viewed as a currency that could be used towards Moscow's objective of reaching a post-Cold War settlement that accommodated Russia in a 'Greater Europe'. However, illusions about a gradual integration with Europe were shattered after the Western-backed coup in Ukraine and subsequent efforts to crush the Russian economy with sanctions. Russia now views its future as linked to a Greater Eurasia, and China will therefore be an indispensable partner for the foreseeable future. The US can alleviate some of its problems by reconsidering some of the mistakes initiated in the 1990s. As Kissinger argued: "If we treat Russia seriously, as a great power, we need at an early stage to determine whether their concerns can be reconciled with our necessities." Glenn Diesen is a professor at the Higher School of Economics (Moscow), and author of "The Decay of Western Civilisation and Resurgence of Russia: Between Gemeinschaft and Gesellschaft," (2018) and "Russia's Geoeconomic Strategy for a Greater Eurasia (Rethinking Asia and International Relations)" (2017).